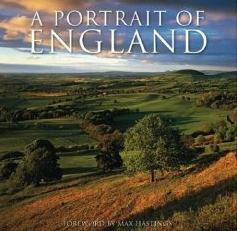 A stunning book on rural England. A national treasure and a trove of inspiration. Sections on Woodland, Flora, and Fungi; Of Time and History; High Places; Food and Farming; The Human Collection, and The Future, fill these pages. Not only with photographs but also with text by many well-known people, like Sir Ranulph Fiennes, Libby Purves, Roy Hattersley; Jilly Cooper; Margaret Drabble, Ralph Fiennes, and more. Whether it's trees, the coastline, forests, meadows, hills, farms, and more, there is much to find in this country that will leave you breathless. Excerpts from poetry written by the inspired are dotted around, bringing home the importance of nature, its beauty, and how it moves people to write about it. More importantly, there are many projects that are helping to preserve and maintain this beautiful part of the world. Conclusion - Beautiful collector's item for those who love distant places.